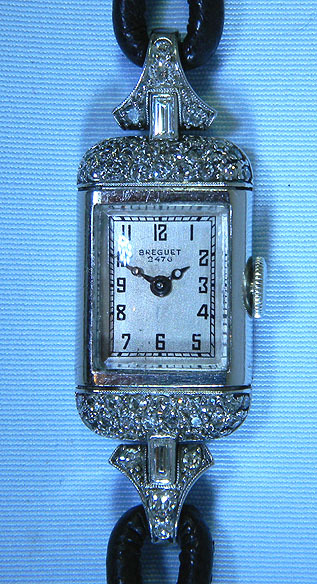 Fine Breguet platinum and diamond Art Deco ladies vintage wrist watch circa 1925. Original silver dial with black numerals and blued steel Breguet hands. 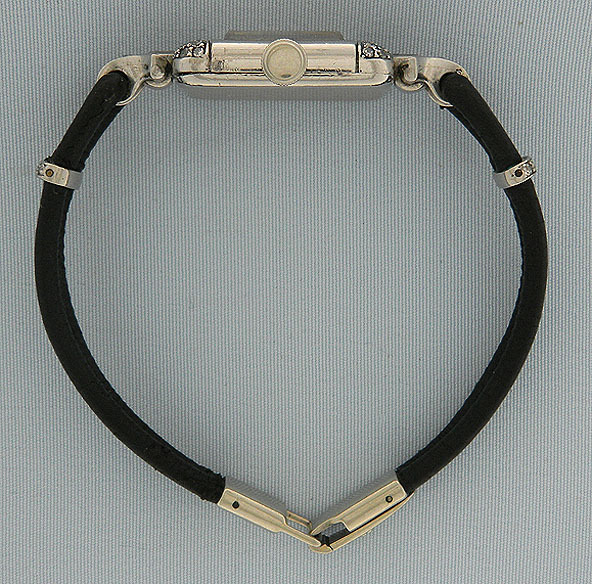 Braided leather band with original platinum and diamond fittings. Signed and numbered 18 jewel movement. Elegant and lovely.